20 Dec 2018 Paris - Atos has revealed the 15 shortlisted teams of its international student competition, the Atos IT Challenge, which is now in its eighth year. This year's theme focuses on how Artificial Intelligence and Machine Learning technologies can support sustainable development. They must then demonstrate the anticipated positive impact of their use case on individuals, on business processes or on the transformation of companies, particularly regarding the major challenges surrounding the sustainability of our economic and social development models. The students' ability to develop future functionalities of their solutions, and define routes to market, is also one of the factors considered when evaluating projects. 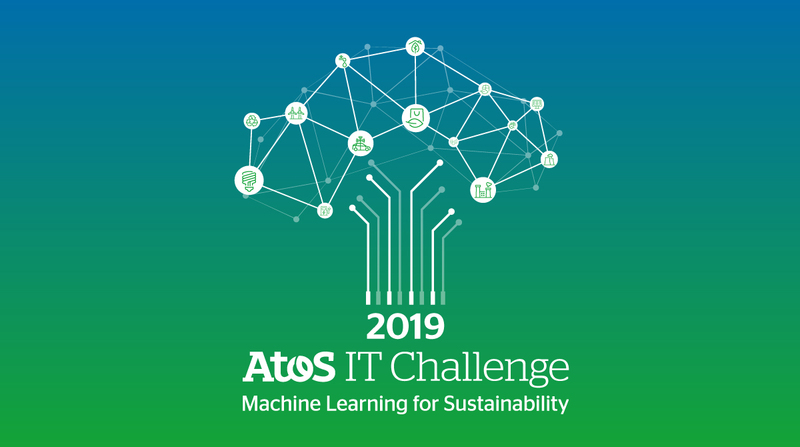 This edition of the Atos IT Challenge attracted many applications and generated particularly innovative ideas from teams in 20 countries around the globe. Gilles Grapinet, Senior Executive Vice President, Global Functions at Atos and Chairman of the IT Challenge Jury, stated: "At Atos, we get enthusiastic every year about the motivation of the candidate teams, the increasing geographical diversity of the Universities and Schools from which they come and, even more so, about the level and creativity of the ideas proposed. This year's theme for 2019 has clearly inspired and motivated many students and teaching staff, and I must admit that the task of selecting the best concepts from this tremendous wealth of ideas has been harder than ever for our selection committee. I would like to thank all participants for sharing their remarkable creativity with us, and we look forward to seeing how the pre-selected teams will transform their concepts into concrete projects over the coming months." In the next phase, each team will be assigned a mentor who will provide guidance and advice on how to build the proof of concept they will present in May 2019. Three finalists will then be chosen, and then a winner, which will be announced at the awards ceremony in June. For more information, you can visit the contest web page.